This story fills me with such worry for my daughter. She is 8 years old and to me is High Functioning Autistic. Her 6 year old brother has a diagnosis of Autism. She is masking it all in school and comes home and totally loses the plot. We are looking at going private thanks to the help of my parents. The community paediatrician she has is ready to discharge her as her development is okish and school sees nothing. I am so glad Mair is finally getting the support she needs and I hope one day I can say my daughter is to. Hi Jayne, thanks for your comment. We’re so glad you enjoyed this article! Our advise would be to keep communication open with the school, join a local support group (local NAS group for instance) and learn to look after yourself as parents. Thank you so much for your article. My daughter has followed a very, very similar path to Mair. Rebecca’s mental health decline though leaves her as a selective mute. 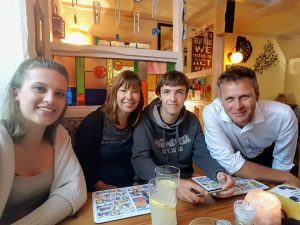 She has now been at a specialist Autism school for 16 months, but cannot navigate the school without support, cannot ask for food,a drink, or to go to the toilet. She is now turning 18, so this leaves her very vulnerable, and she cannot leave the home without a parent. Rebecca did not get a diagnosis until she was 15. Again she too masked her difficulties until it all became ‘ too much’. We too could write a book on the support that has sometimes happened, but more often hasn’t, or not in a very productive way. I do wish you all the very best, and hope that things do improve in the future. Thank you for writing though, as I don’t feel so alone with the issues we deal with each day. Hi Margaret, thank you for taking the time to comment. We’re glad you found the article useful! The also has sensory disorder we as a family really need help but no-one to help us!!! Does he have to hurt himself or others to get that help??? What can we do? Hi Heather, are you in touch with a local support group such as a NAS group? That would be a good place to start to find out what help is available in your area but also to offer you support.